Czech Labour and Social Affairs Minister Petr Krčál is the second minister of the new Government to resign over plagiarism allegations after Taťána Malá (ANO), Minister of Justice - The Czech Republic will not meet the Italian request and will not accept any refugees - One of the biggest defence companies Rheinmetall AG opened a branch in the Czech Republic - General Dynamics European Land Combat Systems carried out an industry tour in the Czech Republic during which the group met with represenatives of various Czech industrial enterprises and negotiated on potential future cooperation - More details on the force development of the Czech Army revealed - AERO and Israel Aerospace Industries introduced a cost-effective combat proven fighter attack aircraft: F/A259 Striker - the Czech contingent was formally inaugurated as part of the NATO eFP in Rukla, Lithuania, on 17th July. On 17th July the Czech Labour and Social Affairs Minister Petr Krčál (ČSSD, socialists) announced his resignation, only a few weeks after being appointedm. It appears he had plagiarised a major part of his university thesis. ČSSD proposed a Labour Ministry senior official Jana Maláčová for Krčál's replacement. Krčál is the second minister of the new Government to resign over plagiarism allegations after Taťána Malá (ANO), Minister of Justice, who resigned the week before. She was replaced by Jan Kněžínek, chairman of the The Legislative Council of the Czech Government. The Czech Republic will not meet the Italian request and will not accept any refugees from the group of 450 that got stuck in a fisherman's boat, Prime Minister Andrej Babiš (ANO) said Sunday, 15th July. "We must help migrants in the countries from which they are coming, outside the European border to prevent them from setting out for a journey at all," Babis said. On 18th July he said he was ready to discuss ways to tackle illegal migration to Europe with his Italian counterpart Giuseppe Conte to persuade him to accept the Czech stance. One of the biggest defence companies Rheinmetall AG opened a branch in the Czech Republic. This step is closely tied to a tender of supplying new infantry fighting vehicles for the Czech Army. The German holding enters the competition with the brand-new family of medium weight combat vehicle Lynx. 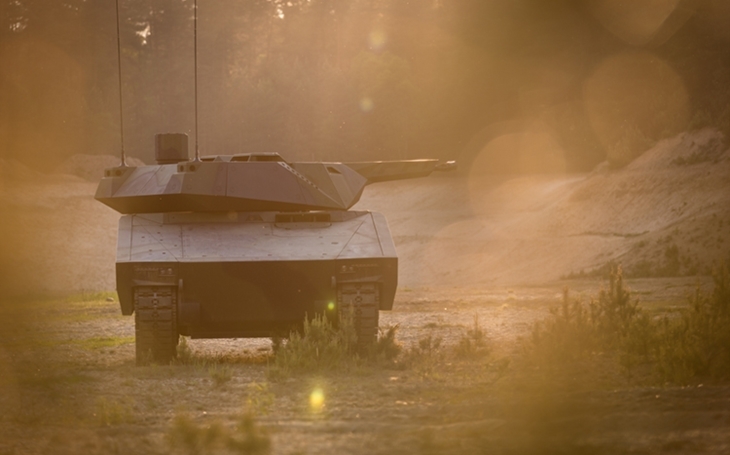 In case of being successful, Rheinmetall wants to produce the Infantry Fighting Vehicle and the other variants of the Lynx in the Czech Republic. Rheinmetall already runs a similar model in Australia, where they won a tender for 211 Boxer IFV. Over 40 local companies are involved. General Dynamics European Land Combat Systems (GDELS) carried out an industry tour in the Czech Republic during which the group met with represenatives of various Czech industrial enterprises and negotiated on potential future cooperation within the framework of the ASCOD 2 Infantry Fighting Vehicle production. Through the Steyr-Daimler-Puch Spezialfahrzeuge GDELS is producer of the Pandur II IFV currenty operated by the Czech 4th Brigade, and offers the Czech Army it’s latest ASCOD 2 IFV. There are three major projects in the domain of force development of the Czech Army: formation of a Cybernetic Forces and Information Operations Headquarters, an Airborne Regiment based on the existing 43rd Airborne Battalion, and a Host Nation Support (HNS) battalion. More details have been revealed during a meeting of the Chief of General Staff Aleš Opata with the media held on 16th July. AERO, the biggest Czech aircraft manufacturer, and Israel Aerospace Industries (IAI), world leader in defense systems technologies, introduced cost-effective, combat proven fighter attack aircraft. The F/A-259 Striker is a multirole aircraft for close air support (CAS), counter-insurgency operations and border patrolling with interception capabilities. The aim is to offer the USAF an aircraft that meets the OA-X (Light Attack Program) requirements. The aircraft was presented during the Farnborough 2018 airshow held from 16th till 22nd July in the United Kingdom. A mechanized company equiped with Pandur II wheeled infantry fighting vehicles has arrived to Lithuania and will stay in the country until January 2019 when the next rotation occurs. The Czech contingent was formally inaugurated as part of the NATO eFP in Rukla on 17th July. The NATO Force Integration Unit Latvia has been joined by a Czech mortar company in June.